The Manufacturing Exchange is Florida's portal to all things manufacturing! Our industry is extremely diverse but we have so much in common--coming together for a collaborative exchange is the only solution to continue our advances in manufacturing. 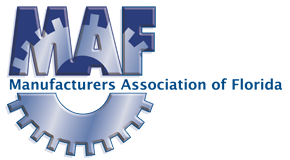 MAF is a welcoming organization and the Manufacturing Exchange is open to those invested in the industry--regardless of your association membership! Event tickets for affiliate and non-industry representatives are extremely limited and once they are sold out, we are unable to authorize additional registrations of this type. MAF members in this category will have priority access to the limited supply.